This was a fun project for a Time Warner Cable advance screening of How to Train Your Dragon 2. 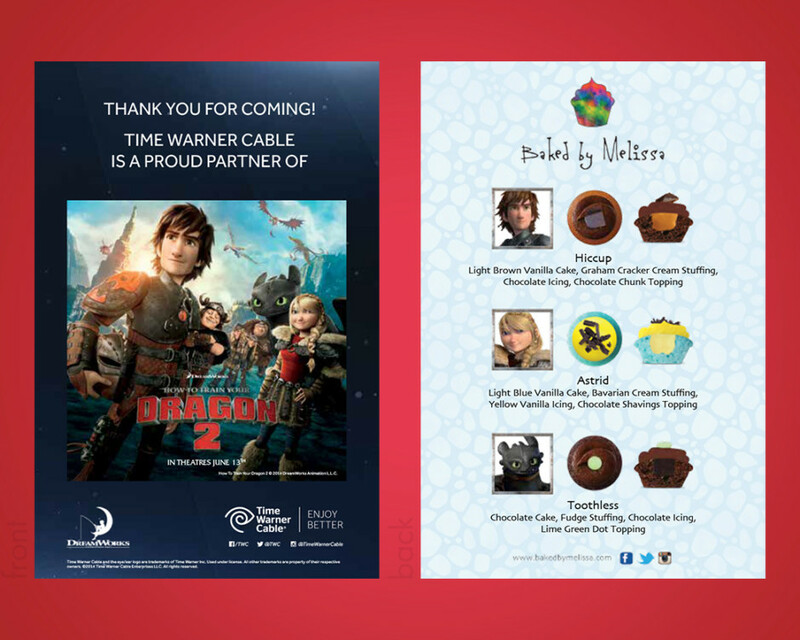 In addition to the movie poster, tickets, and concession tickets, we created this menu card of How to Train Your Dragon 2 cupcakes from Baked by Melissa that were given out after the event. Each ticket holder was given menu card to help facilitate the dessert selection process.